With a brushed metal keyring attached to the side, this purse is the ultimate combination of fashion and function. Sweet shades of candy pink and rich royal purple decorate the exterior, with the adorable Oops a Daisy artwork detailing both sides amongst a contemporary damask print and delicate floral patterns. 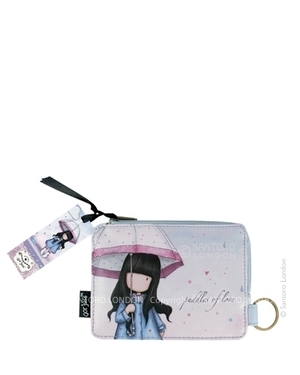 Perfectly sized to carry cash, cards and coins, it will soon find a home in your heart… and in your bag!